Website design agency Chesapeake VA | Designs Inc. Chesapeake VA wanted a site with a navigation structure proving easy access to a large amount of interior pages. The expert coders at VISIONEFX created a unique accordion tree navigation that opens for easy reading of interior page links. The website also uses photography and descriptive product titles throughout the website. Product photos are original custom product collages. When searching ‘Website design agency Chesapeake VA’ look no further than the web design experts at VISIONEFX. VISIONEFX, a Web design company serving Chesapeake VA provides best in class web site design services in the Mid-Atlantic region and the USA. We provide services to national companies as well as small to medium businesses to include; custom web design, web development, e-commerce web design, Word Press web design, Joomla web development, SEO (Search engine optimization) and Website maintenance services. We also publish articles for search engine optimization purposes. If you already have a website we can analyze your web site and put together a SEO strategy that is customized for your online web marketing goals. VISIONEFX offers monthly SEO services so you can maintain your search engines positions. 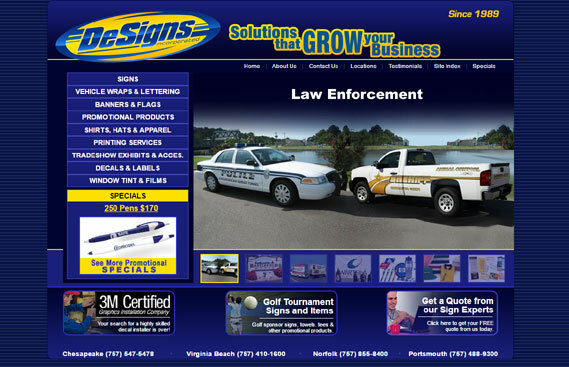 Our web development team will take your Chesapeake VA business website to a whole new level of excellence.